A dancer can train for hours and hours each day, but without a proper diet their bodies will never be able to perform to its fullest potential. A dancer needs to make sure they are taking in enough calories for their body. About 50 calories per kilogram of body weight is a good estimate. Not enough calories will compromise energy. A dancer’s diet should consist of 55-60 percent carbohydrates. The reason that this is such a large percentage is that energy in the muscles comes primarily from carbs. Dancers who do not eat a sufficient amount of carbohydrates in their diet will compromise their training ability because their muscle glycogen levels will be low. Complex carbohydrates, such as bagels, cereal, bread, english muffins, pasta, and rice a good food to receive carbs from. The active body needs around 6-10 grams of carbs per kilogram of body weight. It is great to eat carbohydrates 1-2 hours before dancing and right after you stop dancing. Fat provides the structure for all cell membranes, comprises the insulating layer around nerves, forms the base of many hormones, is needed for the absorption of vitamins, and is an important fuel for muscles. Fats should be around 10 percent (around 1.2 grams per kilogram) of your diet intake. To much or too little can be bad. Fatty acids are a source of energy, but to much saturated fats can cause diseases. Protein is needed to repair the breakdown of muscle fibers. 1.4-1.6 grams of protein per kilogram of body weight is a good amount for an active person. Chicken and turkey are great sources of protein. Protein powders are not necessary for male or female dancers. Micro nutrients include vitamins and minerals. All of these help to repair blood cells and muscles. Calcium is a macromineral and is very important for bone growth. Low bone mass and low calcium intake creates a large risk for stress fractures. Iron is also very important in transporting oxygen throughout the body. Dancers should be cautious about taking vitamin and mineral supplements. It is always better to get these nutrients through healthy food. During hard classes or long rehearsals, a dancer can lose up to 2 liters of water through sweat. This is why it is important to drink about one cup of water every 15 minutes while exercising. Although cross-training is a very helpful way to excel, and individual need to be careful choosing cross-training plan, in order to ensure that they are helpful and not hindering. Working out could make one more prone to injury instead of preventing it, if the extra training puts stress on the bones, muscles , and tendons that are already being used frequently. For dancers, it is important to not put extra stress of the feet, hips and lower back. Strengthening the core would have the best results with helping a dancer make improvements. Both Pilates and yoga help to strengthen muscles, while keeping them elongated. They will give you a strong core and stability. A strong core will not only improve technique, it will reduce stress on the lower back and improve spinal alignment. Pilates and yoga will help a dancer find the weaker muscles of their body and help strengthen those parts. Swimming is great because it allows the joints to move without the effects of gravity. Because there are many strokes to chose from, dancers with any body type can benefit from swimming. Dancers with tight upper bodies for example should do backstroke, which stretches out the shoulders. Skiing is a good cardiovascular workout and is especially good for ballet dancers because skiing uses the parallel position. Biking is good to build up strength in the thighs and glutes. Dancers should use a lower resistance while riding so their muscles do not become bulky. Running is not good for dancers because of the constant pounding on the joints. Two better alternatives would be a brisk walk or using the elliptical. Weight lifting is a great way to build up strength. Dancers do not want bulky muscles, so it is suggested to complete less reps with a heavier weights to see great results. Cross-training helps athletes stay fit and have diverse training. This allows the athlete to gain strength in other areas of the body and prevent injury. This may seem surprising that doing more exercise would prevent injury, but balanced training leads to success. Cross-training strengthens different muscle groups, allows strained muscles to rest, helps to develop and train new skills, and improves form. A good cross training plan includes cardio, strength and flexibility training. It is most beneficial to workout the areas of the body that do not receive as much stress during workouts for the individual’s particular sport. A very common question you will hear asked by students in a dance class is, “Is it bad for my hip to pop every time I kick to the side.” Teachers always say, “If the popping doesn’t hurt, then you’ll be fine.”, but I have always wondered the cause of this loud noise. It turns out that this popping noise is called Snapping Hip Syndrome. This snapping noise or sensation is caused by a tendon or ligament rolling over a bone. Although the popping is usually painless and harmless, it could eventually turn into bursitis, a painful swelling of the fluid-filled sacs that cushion the hip joint. The ball and socket joint of the hip bone fits into the cup shaped socket inn the pelvis (acetabulum), which is surrounded by strong fibrocartilage for support. Layers of ligaments and tendons surround the hip, connecting the muscles to the bones. Bursea, fluid filled sacs, are located around the bone to provide smooth movement. Any alteration, or tightness to a ligament, tendon, or muscle, will cause them to not correctly slide past the bone. The most common place for the snapping hip to occur is on the outside of the hip, when the illoitibial band passes over the thigh bone. When the hip is straight, the band is in front of the bone, but when the hip is bent, it has to move behind the bone. A dancers illoitibial band is usually tighter than the average person’s, so the smooth moving of the band of the bone becomes harder. If a person has snapping hip syndrome, it is recommends to reduce the activity level and modify the sport. If pain persists, getting a doctor examination may be wise. From there they will examine you case and usually send you to physical therapy, where they will show you stretches for the illoitibial band and the piriformiis. Loosening these muscles should reduce the pain. If one’s body is not responding to the physical therapy, a doctor may recommend looking into having surgery. Although not many have surgery due to this syndrome, it sometimes is the only way for the injury to heal. Recently, I have been having ankle pain on the interior side of my ankle. Because the injury has not gotten better, I decided to look up the possible problem and ways to cease the pain. 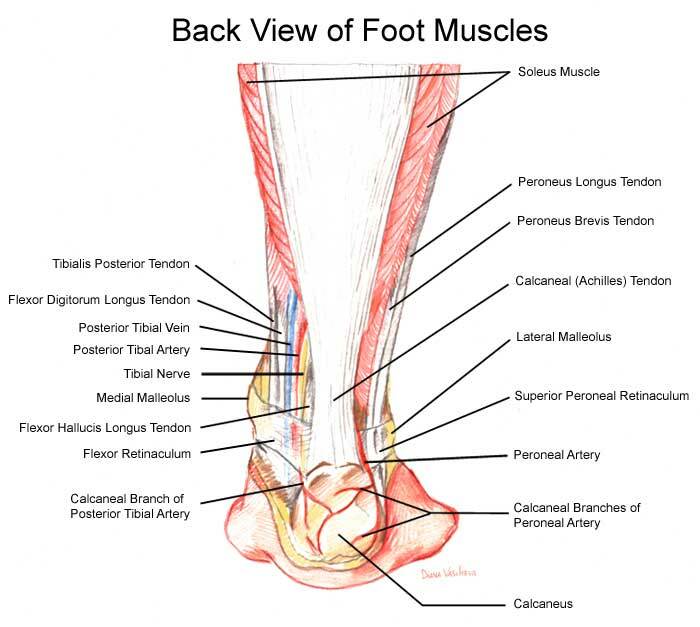 Most ankle injuries, such as typical ankle sprains, occur to the ligaments on the outside of one’s foot. There is another type of sprain called an eversion ankle sprain, which injures the deltoid ligament (on the inside of one’s foot). This type happens if the ankle turns laterally beyond ligament and muscular control. This is common in activities that require a lot of jumping, like dancing. To help heal faster, it suggested to do range of motion and strengthening exercises. The range of motion exercises include pulling back on a towel wrapped around your foot for a stretch and tracing the alphabet in the air with your toes. To regain strength, it is recommended to do thera band exercises and balancing exercises to make the ankle muscles stronger.